The new federal transportation bill authorized $615 million for a new nationwide program called Safe Routes to Schools. 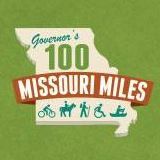 Missouri's share, starting at $1 million per year and growing to $3 million per year, will be administered by MoDOT. MoDOT is now in the midst of hiring a Safe Routes to Schools Coordinator and establishing the general parameters of the new program. Safe Routes to School has the potential to dramatically increase the number of children who walk and bicycle to school, and to improve our communities for bicycling and walking. MoBikeFed has been working with MoDOT to encourage MoDOT to create the most effective Safe Routes to School program possible. Our goal is for the federal funding to seed pilot Safe Routes to School program in numerous schools throughout Missouri, leading eventually to the Safe Routes program being established in every elementary and middle school in the state. MoDOT must hire the right person as Safe Routes to Schools Coordinator--a person with a strong personal interest in bicycling and walking who can reach out to coordinate this important program with government agencies, teachers, parents, students, and community leaders. MoDOT should establish a Safe Routes to Schools Steering Committee that will pull together stakeholders and organizations with expertise from across Missouri. MoDOT's Safe Routes to School program must work closely with MoDOT's already established and successful Bike/Ped program. The Federal Highway Administration allows (and in fact, encourages) state DOTs to hire a short-term consultant to help the SR2S Coordinator get the program up and running. We strongly encourage MoDOT to do this. Our goal with the Safe Routes to School funding is to establish a statewide training program for local SR2S leaders and then use the federal funds as seed money to establish dozens and then hundreds and thousands of Safe Routes to Schools programs in communities across Missouri. Eventually we would like to see the program in every elementary and middle school in Missouri. Safe Routes to School infrastructure funds should be used as seed money to encourage numerous small but effective walking/bicycling improvements in communities across the state. More about Safe Routes at BikeWalk.org and BikesBelong. The Safe Routes to School Toolkit (5 meg PDF) can be downloaded here.